Diamond Notes » Are Rookies Having a Harder Time? 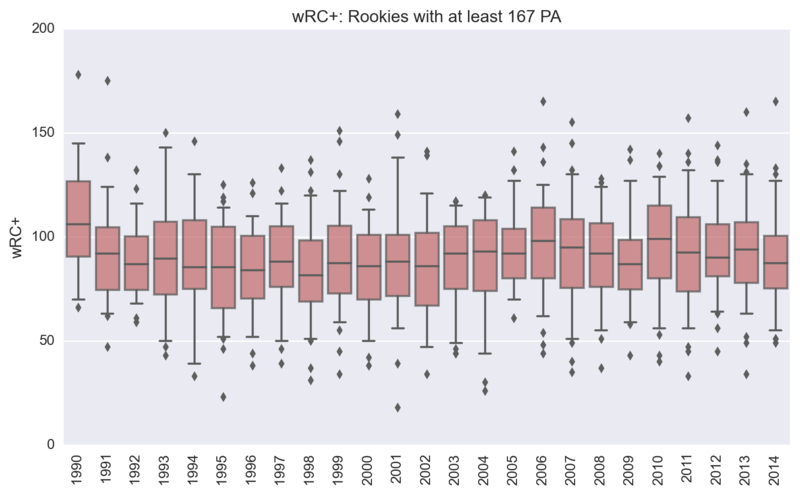 Are Rookies Having a Harder Time? There have been suggestions from the Red Sox management that the gap between AAA and the major leagues is wider today than ever before. I looked at the claim (Are Rookies Having a Harder Time?) and didn’t find much evidence to support it. « What’s up with Rick Porcello?